Visual beauty is often simply defined as a combination of qualities, such as line, color, and form, that pleases the aesthetic senses. When you look at something and you feel pleasure, you are experiencing the effects of visual beauty. 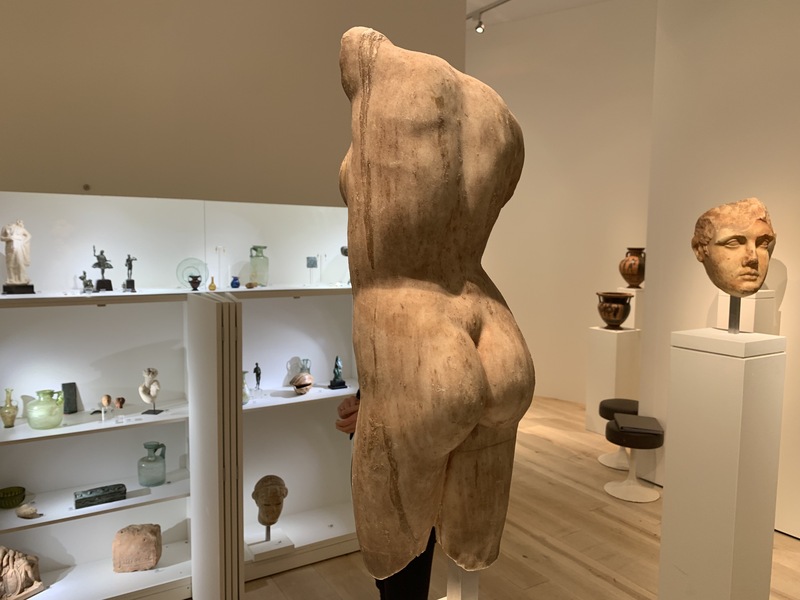 I know people may long deliberate the definition, but there is one thing I am certain of, I know where you can find it every year for 11 days March and that is at The European Fine Art Fair or TEFAF in Maastricht, Netherlands. 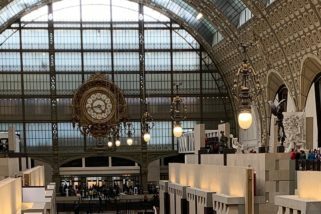 I have attended this fair for 5 of the last 6 years and each time before I arrive I think this may be my last year as I get that “been there, done that” feeling, but each year as I am on that train headed for Paris I find myself making plans for the next year. 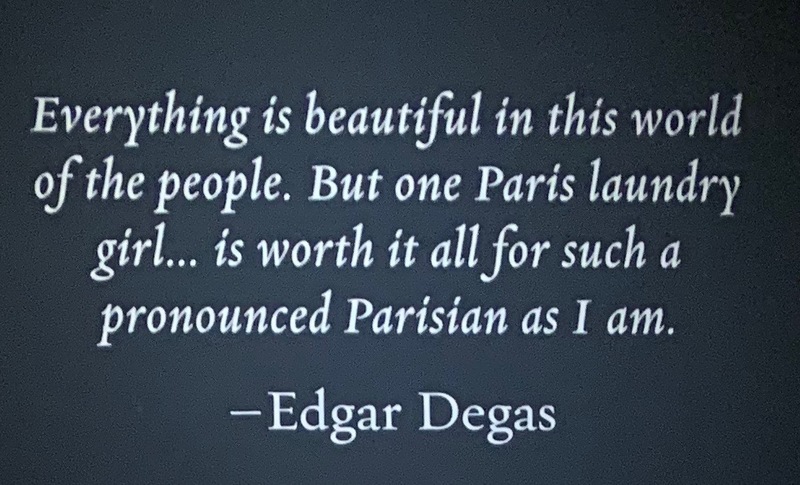 Well, the train to Paris is still one day away and I have already decided. If you have followed my blogs over the last couple of years you have read what I have written as I try to describe the experience. Every year I always find a few dealers who have been coming for years to ask the question, “What other art fairs in the world should I go to”. 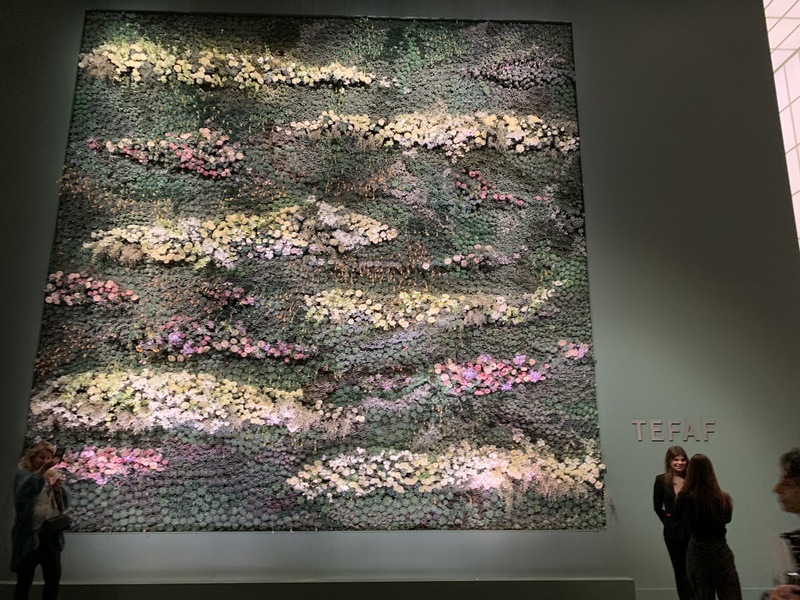 The answer is always the same, “first understand that there is nothing in the world like TEFAF’. 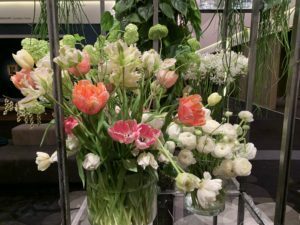 There are some great Antique fairs and some fine modern art fairs and some wonderful fairs featuring old master paintings, but the only place that the world’s finest dealers in all of those categories come together is in Maastricht in March. After six 7-8 hour days of wandering around the fair visiting Old Master Paintings, Antiques, Tribal art, Modern Art and Antique Jewelry, there are some of those beautiful objects I want to share with you to try to give you some idea of what you can see here, but remember, there are 279 different dealers at this fair and I have seen thousands of objects, so this is just a tiny sample. Don’t forget to click on the pictures to enlarge them. Kunsthandel Bies was started by Antonius (‘Ton’) Bies over 65 years ago and is now run by his son Mari Bies. 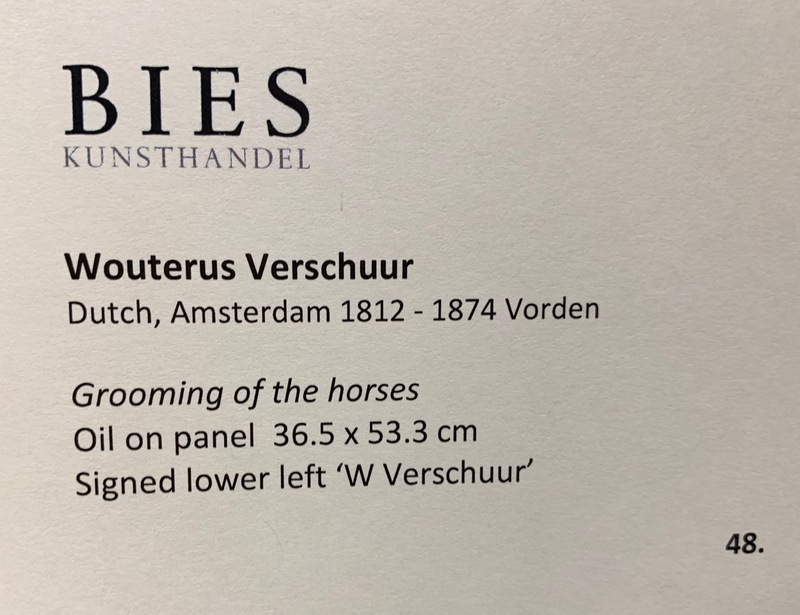 They specialize in the very finest of 19th century Dutch paintings. 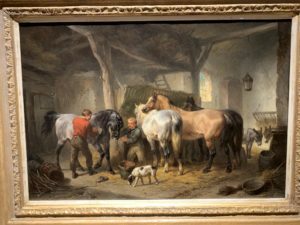 “Grooming of the Horses” was painted by Wouterus Verschur. 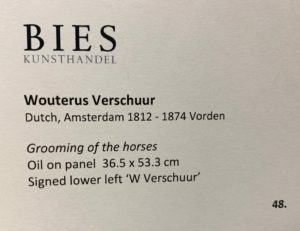 Mari explained to me that Verschur is the 19th century Dutch master when it comes to pictures of horses. 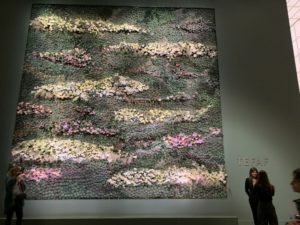 It was priced at 65,000 euros. 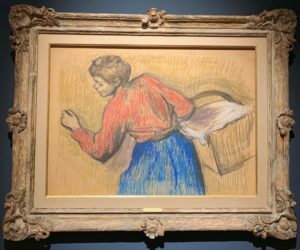 I know that is not not cheap, but It continues to amaze me that a nice pencil sketch by one of the Impressionist would cost about the same. 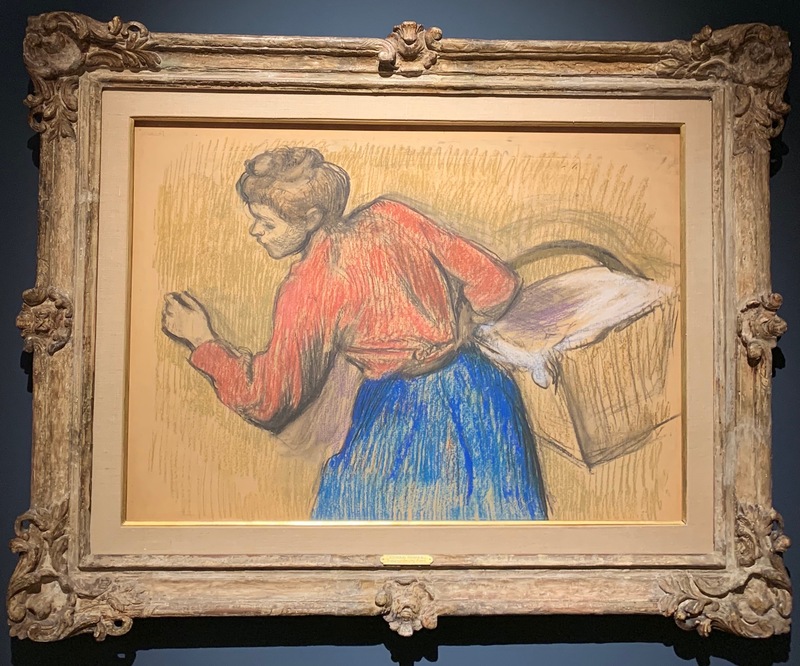 The pastel below by Edgar Degas was painted around 1890 and is shown by my favorite stand, the Hammer Galleries of New York and Director Howard Shaw. 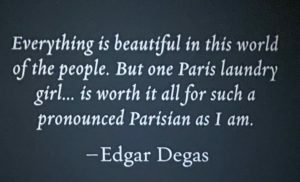 The beauty in its simplicity is best described by the quote next to the picture by Degas himself. 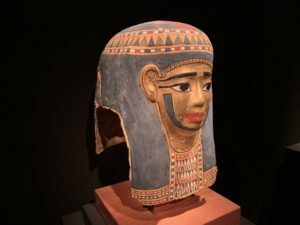 This incredible Egyptian Mummy mask and collection of small statues are from the Ptolemaic period in Egypt dating to about 300 BC, but at 2300 years old, they are still “young” in the world of art compared to the cave paintings from Altimira in Northern Spain and Lascaux in Southern France that date from 20,000-30,000 years ago. 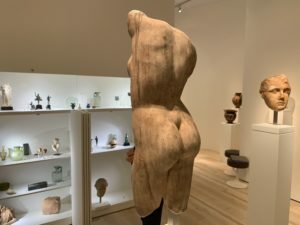 These elegant objects are in the stand of Antonia Eberwein and I am happy that her gallery at 22 Rue Jacob is only a few blocks from the apartment where I will be staying in Paris. Everyone would like beautiful things in their lives and when you have extra money there has always been plenty of people available to help you find beautiful things to spend it on…like clocks. The one below on the left was created in 1928 by Cartier and the one on the right by Starr and Frost in the same time period. Both are in the stand of Siegelson of New York. I will not bore you with all the details, but the Cartier has diamond studded hands and numerals. 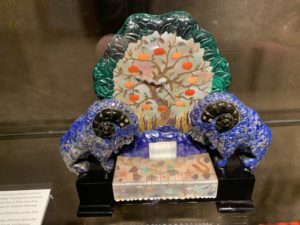 The fish are carved Jade with the red fins and tail of carved coral. The fish are resting on a “waterfall” of carved rock crystal. 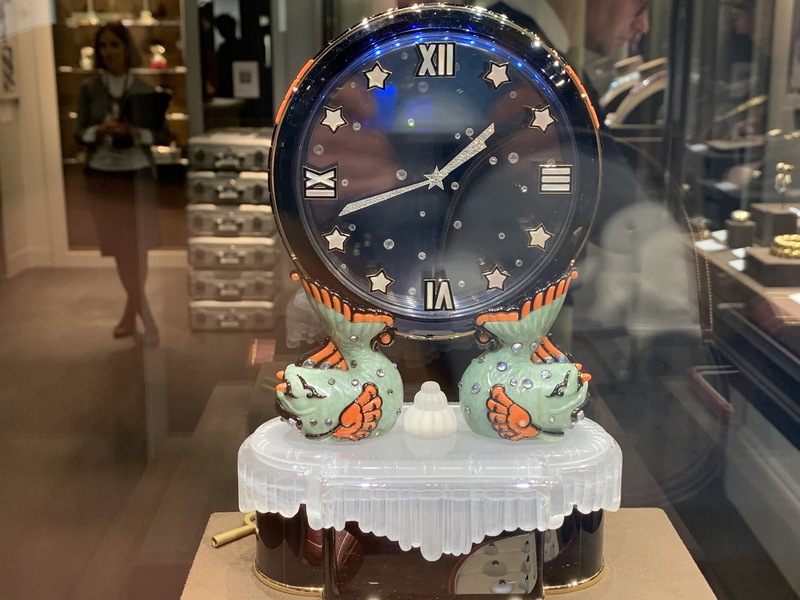 Each of these precious clocks are priced at over 1 million euros and if you could examine them up close you would begin to see why. 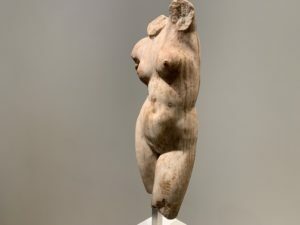 Lastly I will leave you with an incredible Greek marble statue of Aphrodite from the 3rd century BC which was during the Hellenistic period. 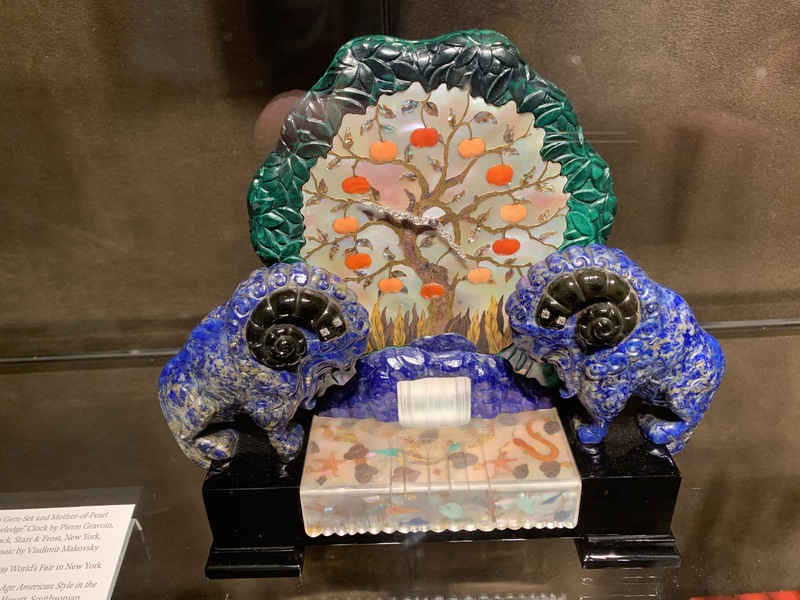 This is in the stand of the Cahn Gallery which is part of a proud family tradition that reaches back for over 150 years. The gallery specializes in ancient Greek and Roman art, and is directed by the classical archaeologist and 3rd generation art dealer, Jean-David Cahn. I have been at this amazing show for 6 days at an average of about 7 hours a day and I am sad to leave. I could easily continue this particular blog for pages. I can not begin to tell you all I have learned and all of the beauty I have seen. It may take another blog to talk about the real allure of this fair and it is the people. 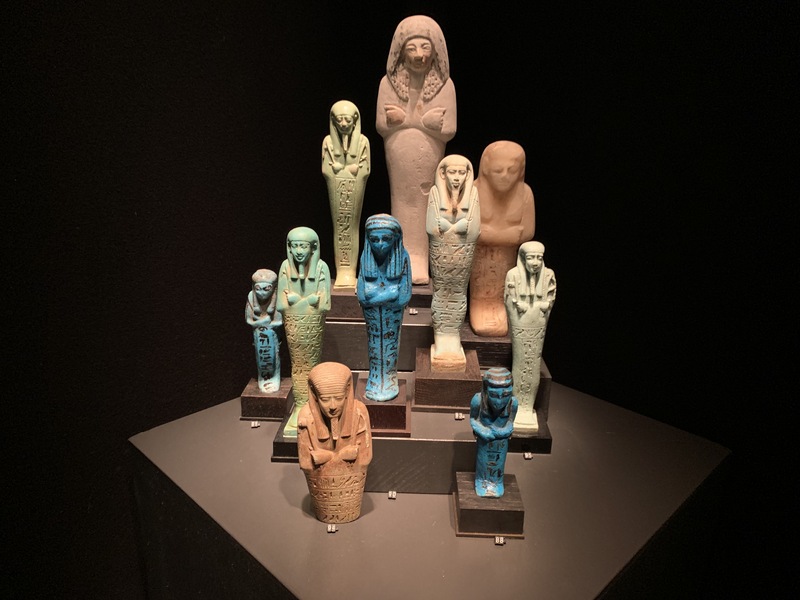 There is more knowledge about art and art history in this hall than any other place in the world and all you have to do is ask. Just walk up to any object and turn to the dealer and say “what can you tell me about this” and then sit back and soak in the enthusiastic dissertation that would put any lecture in a Masters of Fine Arts college course to shame. Please ask questions or comment below. Now it’s time to pack for Paris and think about coming back to Maastricht next year. Paul, thank you for these blogs. It brings back many fond memories of my past life. I haven’t been to Europe for many years now, but spent a lot of time there when I worked for a German publishing company. I remember once taking the company car one weekend to explore Maastericht and had the best Thai food ever! I’ve never found another place that was so good. Fun and safe travels! I am glad you enjoy them Rachel. Thanks for the good wishes. I like reading your blogs, Paul. Glad to see your passion hasn’t wavered. 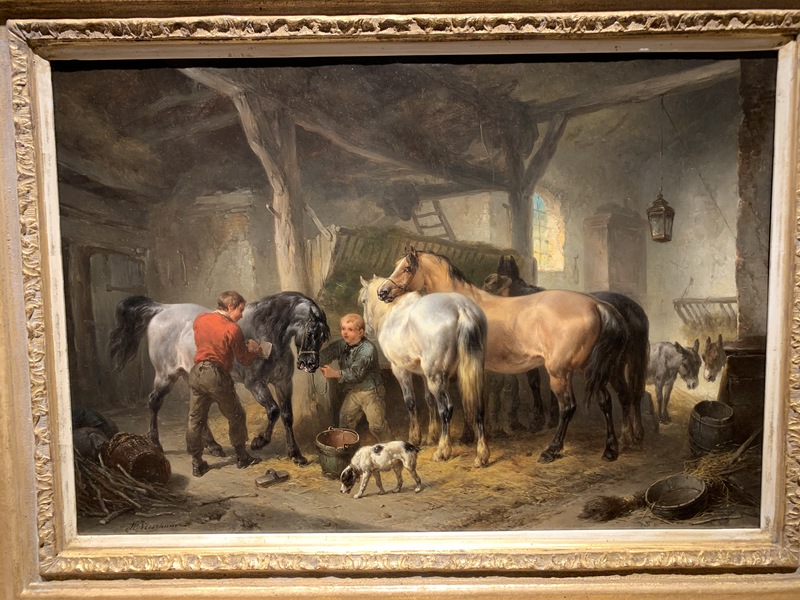 I like modern art but the Grooming of the Horses is entrancing. Modern art is my favorite also Gavin, but I wanted to show that beauty comes in many forms and they are countless great examples at this fair. I do not see my passion wavering anytime soon, in fact actually seems to continue to intensify.